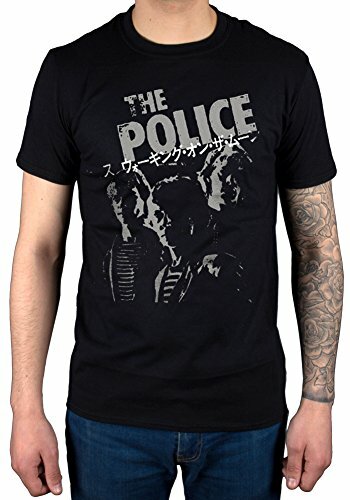 English rock trio, The Police, originally formed in 1977, and no one could argue that they were a top quality band. 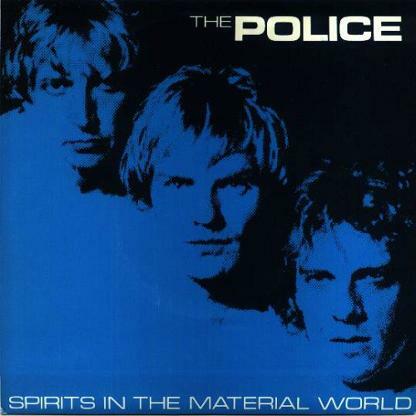 The trio consisted of Sting (real name Gordon Sumner), who played bass guitar and sang lead vocals, Andy Summers on guitar and vocals, and Stewart Copeland on drums/percussion and vocals. 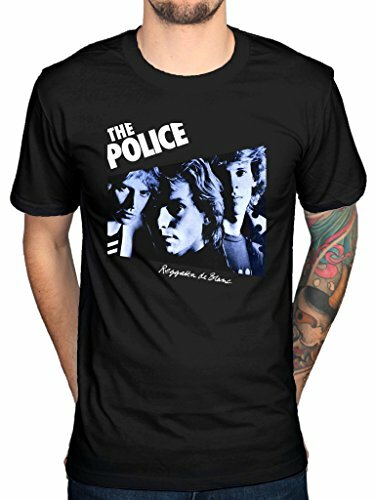 The band became popular World-wide in the late 1970s and are regarded as one of the first New Wave groups to have achieved mainstream success. Their biggest-selling album from 1983, Synchronicity, was number one in the UK and the US and sold over 8,000,000 copies in the US where it also achieved 8x Platinum sales. The band broke up in 1984, but reunited again in early 2007 for a one-off World Tour lasting until August 2008, in celebration of the 30th anniversary of their hit single "Roxanne". 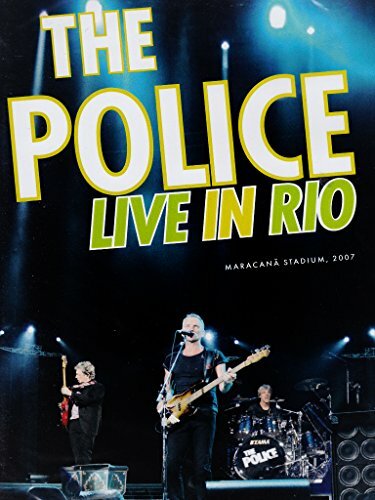 The Police have sold more than 50 million albums worldwide, and became the world's highest-earning musicians in 2008, thanks to their reunion tour. All of the band's studio albums achieved at least platinum sales in the UK, US and Canada. Chart positions shown are for the UK and US respectively. 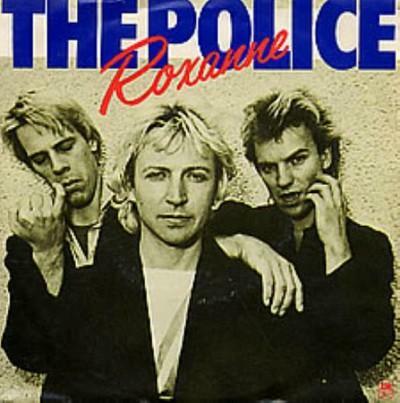 Penned by frontman Sting, "Roxanne" was originally released in April 1978 and failed to chart. However, after being reissued in 1979, the single reached #12 in the UK. The song featured as the third track on the A-side of the band's debut LP "Outlandos d'Amour". The lyrics are about a man who falls in love with a prostitute. The video gives no clues as to what the song is about and only features the band playing live. Originally released as the third single from "Outlandos D'amour" in August 1978, this single reached #42 in the UK singles charts. The lyrics refer to the subject of teenage suicide, as depicted by controversial image on the single sleeve which led to the BBC banning the single. 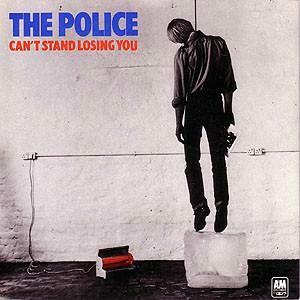 An alternative cover featuring the band was created for a re-release of the single in June 1979, which reached #2. It was kept off the top spot by Boomtown Rats with "I Don't Like Mondays". The lead single from the band's second studio album "Reggatta De Blanc" was released on 21st Sept 1979. The lyrics are about loneliness and tell the story of an island castaway who sends out a message in a bottle to try and find love. He is in despair after receiving no response. However, he then sees a hundred billion bottles wash up on the shore filled with response messages. The B-side of the single featured the track "Landlord" and the lyrics reflect on Sting's experience of being thrown out of a house in London. "Message in a Bottle" topped the UK, Irish and Spanish singles charts and also reached #2 in Canada. IN the U.S. the single peaked ar a lowly #74. Released on 4th Novermber 1979, the band's second single from their second album was, spookily, also their second chart-topper in the UK. This was yet another track penned by Sting, although he was drunk when he wrote it, apparently, after a concert in Munich. The lyrics of the chorus started out as "walking round the room" and the song was originally recorded as a rock track. 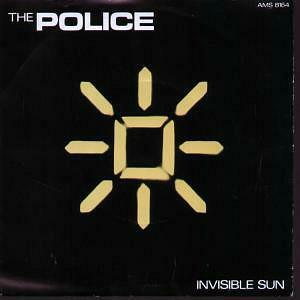 The B-side included the track "Visions of the Night" also written by Sting. The single also topped the Irish charts. The video features the band pretending to perform near a space rocket at the Kennedy Space Centre on 23rd October 1979, mixed with old footage from NASA. 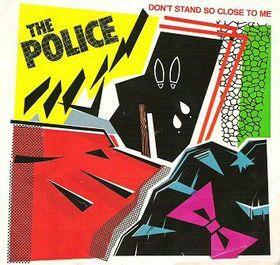 "Don't Stand So Close to Me" was The Police's third British chart topper was released in September 1980 as the lead single from their third album "Zenyetta Mondatta". This was the band's first single to break into the top 10 in the U.S., and was also a top five hit in Australlia, Canada and across Europe. The lyrics are controversial as they deal with the subject of a female pupil's lust for an English teacher. Sting stated in 1981 that they are based on his own experiences as an English teacher and dealing with the advances of 15 year old girls. The video is set in a school and in it we see Sting wearing a teacher's felt board hat with tassel and a vest top featuring the new wave, British ska pop band The Beat. Released on 5th December 1980, the title of this single gave 80s Disc Jockey's nightmares! It was the second single from the album Zenyatta Mondatta and reached No.5 in the UK, making it their seventh consecutive top ten hit. The song also reached No.10 on the Billboard Top 100 in the United States. The British version contained the B-side track "A Sermon", whilst in the U.S. the B-side was entitled "Friends". The lead single from the LP "Ghost in the Machine" (in the UK) was a No.2 hit in 1981, and was penned by Sting while he was residing in Ireland during the hunger strikes in Belfast. "Invisible Sun" refers to seeing light at the end of the tunnel. The video was banned by the BBC as it featured footage of conflict in Northern Ireland which was a sensitive subject at the time. Many fans regard this track as one of the band's finest, and it is certainly a thought-provoking piece of songwriting. Taken from their fourth studio album Ghost In The Machine, this infectious single topped the charts in the UK during November 1981, and It reached number three in the U.S. Although released in 1981, Sting had actually written this song as early as 1976, though some of the lyrics were said to have been altered in the released version. The B-side was a track called Flexible Strategies on the British 7" vinyl. The song has since been covered by numerous artists including The Shadows on their 1990 album Reflection, and Torchwood star John Barrowman for his 2007 album Another Side, to name but a few. 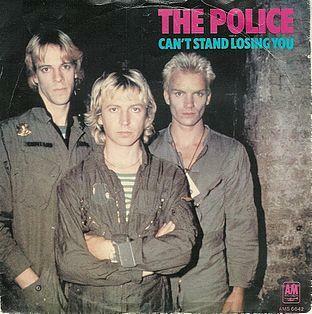 It's definitely one of the most memorable songs from The Police, and a great piece of songwriting from Sting. The third single from "Ghost in the Machine" was penned by Sting whilst riding in the back of a lorry. The UK B-side, "Low Life" was also written by Sting in the back of a vehicle, this time a tour bus in Germany during 1977. The US B-side was an instrumental track entitled "Flexible Strategies". 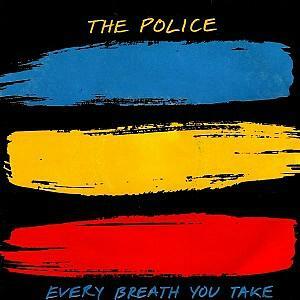 The single reached #12 in the UK in 1981 and #11 in the US in 1982. 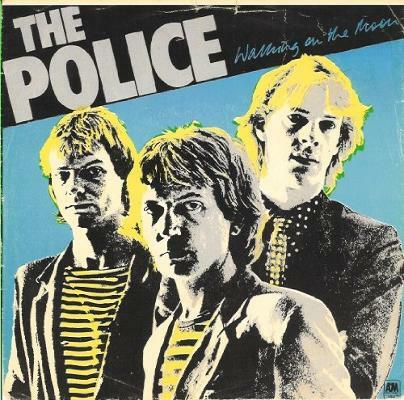 This is one of my personal favourites by The Police and I really like how the song changes from a Jamaican ska beat to a rock beat for the chorus. It's just a pity that the video is rather uninspiring and disappointing and simply features the band playing in a what looks like a studio. 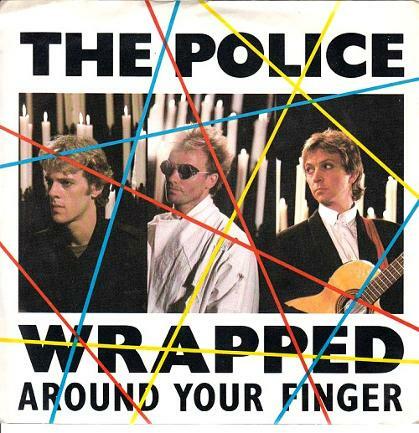 The Police reached the peak of their musical career with the release of a song that is now considered their signature tune. Released as the lead single from the band's fifth and final studio album "Synchronicity", the single topped the UK singles chart for four weeks and also topped the U.S. Billboard Hot 100 for a whopping eight weeks. This was also the biggest hit of 1983 in the US. Apparently, at least a quarter of Sting's royalties come from this song alone. The video was shot in black and white and was directed by the legendary duo Godley & Creme. It featured heavy airplay on MTV. Unlike many of the band's videos, this one was more abstract than literal and features arty imagery of the band performing alongside violin players. The second single from "Synchronicity" was the last to reach the top ten in the UK, peaking at #7, and also reaching #8 in the US. The UK B-side featured a new track "Someone To Talk To", whilst the U.S. single instead included a live version of "Tea in the Sahara". The video features the band playing amongst spirals of candles on tall, gothic candle holders. I would imagine that one or two of those got knocked over accidentally during the filming! Towards the end of the video we see Sting having great fun deliberately knocking them over.